Ukraine’s embattled hryvnia national currency gained value in trading on the Ukrainian inter-bank foreign exchange market on Thursday, strengthening to UAH 12.95/13.45 against the dollar. A currency trader from a commercial bank told UNIAN there were low volumes of trade at the exchange, with demand for foreign currency outstripping supply. 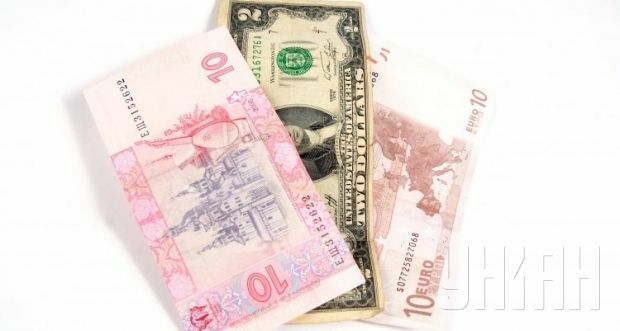 The hryvnia was at UAH 12.99/13.50 against the dollar at the opening of trade, and gained over the morning. Against the euro, the hryvnia firmed up to UAH 16.33/16.93, while it was unchanged against the Russian ruble at UAH 0.30/0.31. As UNIAN reported earlier, during a closed meeting with top government officials on September 23, the managers of the country’s largest banks agreed to hold the rate of cash dollar not higher than UAH 12.95 to the dollar, after which quotations on the interbank market steadied at UAH 12.95/13.40 to the dollar. But on October 28 by the middle of the trading day the hryvnia had again slumped, reaching UAH 12.98/13.50 to the dollar by the end of the day, which experts attributed to post election uncertainty and traders’ anticipation of possible changes in foreign exchange market policy by the country’s central bank. On October 29, the National Bank of Ukraine conducted a regular foreign exchange intervention by selling $86.84 million to the banks at the rate of UAH 12.95 to the dollar. On October 31 the NBU plans to sell up to $200 million in intervention funds to meet the needs of customers of banks. The latter may submit one application within 10% of the announced amount of intervention.